​HMS Industrial Networks AB — основанная в 1988 году шведская фирма НМS является одним из лидеров в сфере промышленной коммуникации, производит многопрофильные средства сетевого обмена, обьединенные технологией AnyBus. Концепция AnyBus предусматривает применение в промышленных сетях семейства интеллектуальных устройств, преобразующих информационные сигналы последовательных интерфейсов (RS-232, 422 и 485) в протоколы наиболее распространенных промышленных сетей таких как Profibus-DP, DeviceNet, Industrial Ethernet, EtherNet/IP, Interbus, CANopen, LonWorks, Modbus Plus, ControlNet, AS-Interface, Allen Bradley Remote I/O, FIPIO и Modbus RTU. 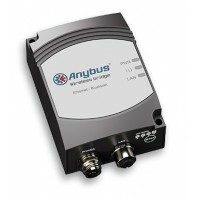 Anybus Wireless Bridge II - Ethernet Anybus® Wireless Bridge enables you create an industrial wireless connection between two points in an industrial Ethernet network. 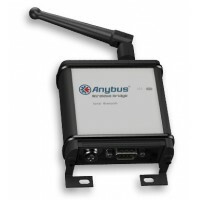 This second generation of the proven and trusted Wireless Bridge can communicate via both Bluetooth and WLAN ..
Anybus Wireless Bridge - Ethernet - Bluetooth Anybus® Wireless Bridge Ethernet - Bluetooth has been replaced by the Anybus Wireless Bridge II. The Anybus Wireless Bridge II is a direct replacement which means that the new product is backwards compatible. 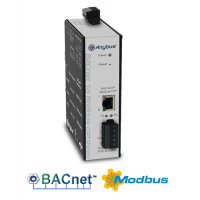 It has the same fast..
Anybus BACnet to Modbus Gateway The Anybus BACnet to Modbus gateway allows Modbus devices to communicate on a BACnet/IP network. The gateway works as a translator between the two networks allowing Modbus RTU, ASCII or TCP devices to show up as individual BACnet-compliant devic..
Anybus Wireless Bridge - Serial - Bluetooth Anybus® Wireless Bridge Serial - Bluetooth is a rugged dual-mode Bluetooth (Bluetooth Smart Ready) serial-port adapter with Bluetooth gateway functionality and u-blox Serial Port Service. 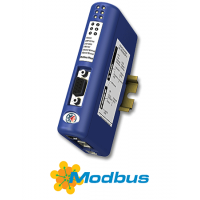 It allows connection for up to seven serial ..
Anybus M-Bus to Modbus TCP gateway The Anybus M-Bus to Modbus TCP gateway allows M-Bus devices to communicate on a Modbus TCP network. 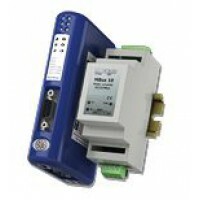 The gateway decodes M-Bus telegrams making it possible to map meter values to Modbus registers. 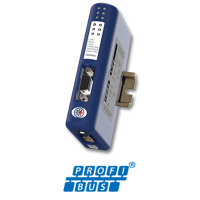 This enables central control and supervision o..
Anybus Communicator - PROFIBUS Integrate your serial RS-232/422/485 based industrial devices and equipment to a PROFIBUS control system without the need for any changes to the device. Just connect, configure and you're done! 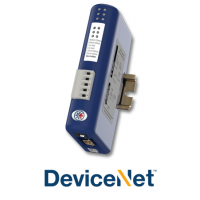 The Anybus Communicator is a proven and trusted pro..
Anybus Communicator - DeviceNet Integrate your serial RS-232/422/485 based industrial devices and equipment to a DeviceNet control system without the need for any changes to the device. Just connect, configure and you're done! 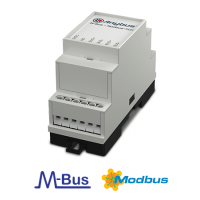 The Anybus Communicator is a proven and trusted p..
Anybus Communicator - Modbus Plus Network enable your serial RS-232/422/485 based industrial devices and equipment to Modbus Plus without the need for any changes to the device. Just connect, configure and you're done! 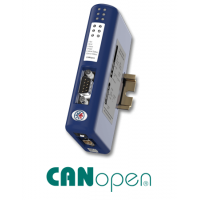 The Anybus® Communicator™ is a proven and trusted protoco..
Anybus Communicator - CANopen Integrate your serial RS-232/422/485 based industrial devices and equipment to a CANopen control system without the need for any changes to the device. Just connect, configure and you're done! 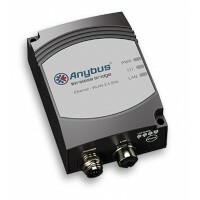 The Anybus Communicator is a proven and trusted proto..